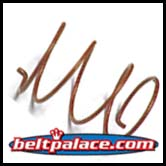 Comet 203130A RED Cam Spring | Manco 2480 | Package of 1 Red Spring for all 40D/44D Units. 203130-A | Replaces Kenbar 400-014, Comet 203130A, GTC 203130-A. 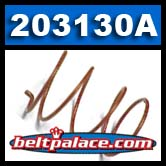 Home > COMET INDUSTRIES BELTS > COMET INDUSTRIES 203786-A/DF CVT BELT > Comet 203130A/Manco 2480 RED Cam Spring. Package of 1 Red Spring for 40C Driven Clutch Unit. Comet 203130A RED Cam Springs. Package of 1 Red Spring for 40C Driven Clutch Unit. Manco 2480 Spring. Comet 203130A RED Cam Springs. Package of 1 Red Spring for all 40D/44D Units. 203130-A Replaces Comet 40 Series Driven RED Spring and GTC 40 Series. Manco 2480, Kenbar 400-014, Comet 203130A, GTC 203130-A. Comet 209115A Fixed Cam for 40D/44D Driven Clutch. Kenbar 400-013.